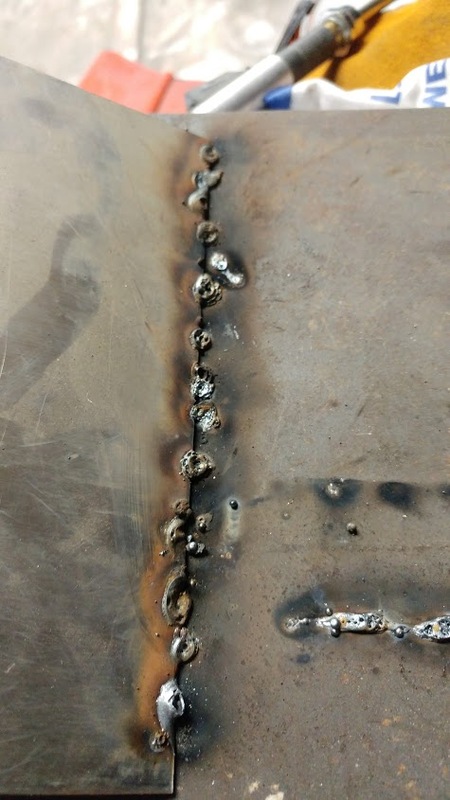 As per my last post, I started a 6 week welding course at the local college. I was four weeks in when the college staff went on strike. For now at least, things are on Hiatus. We spent quite a bit of time on SMAW (stick welding) which was highly educational; The biggest lesson being that it is much easier to strike an arc with an auto-darkening helmet! I was fortunate that we moved on to MIG on the last day, with a good three hours of lab time. With my Saturdays free I decided to have a look for my own machine. 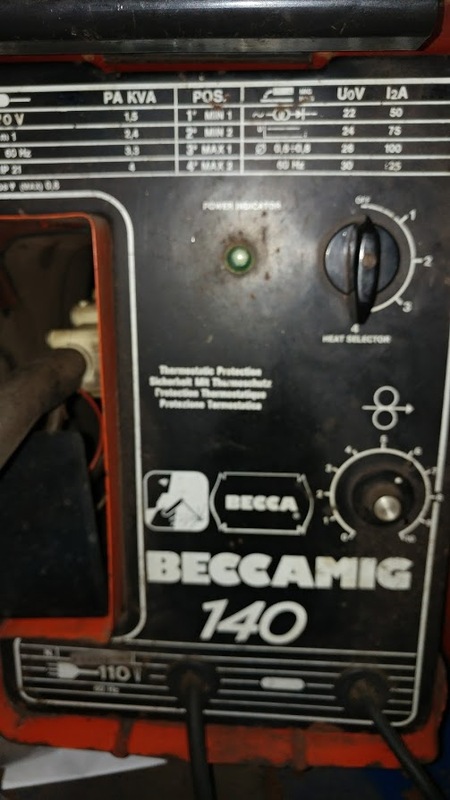 As usual I turned to Kijiji in the hopes of finding something locally. I cannot for the life of me understand advertising an item for sale and then ignoring potential buyers. This is what I ran into on six different occasions until I found something within an hour from home. For the bargain price of $80.00 I turned up this little Italian made gem built in 1985. It's a little beaten up, but everything fires up nicely and it has its own stand (on wheels). That being said, the gun is a little damaged and the tip was missing. I discovered that it takes a 6mm Euro-type 15 which is available on Ebay and other online sources. I bought a 5 pack from Scotland which came to about $7.00 including shipping! 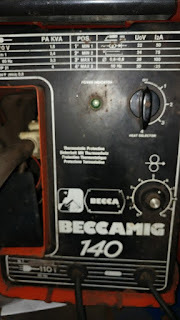 If you Google BeccaMig 140 virtually nothing will come up. I did email TelWin, the company who built it and was politely told that due to the age, they have no data to share. I was hoping they might have had an archived manual somewhere. Without any Argon gas there isn't much I can really do, however I was able to test with the new tip and everything is a go!